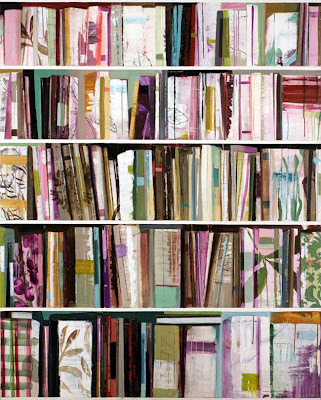 Browse artist Stanford Kay's work and you'll quickly notice a common theme: books. Books piled, books stacked, books shelved. And although non-readers may dismiss books as a seen-one-seen-them-all type of object, Stanford illustrates what book lovers know - no collection of books is exactly the same (unless you're the book-wrapping, library-for-looks type, that is). "At first, there is paint and desire. Paint is applied, removed, and applied again. It makes suggestions – usually taken. It is edited without mercy. The image and the need to signify arrive later. Books as images within these paintings offer formal modernist possibilities while also serving as an embodiment of content. 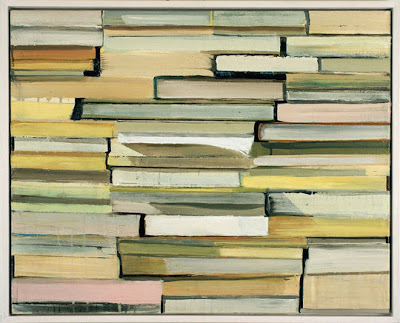 Both paintings and books are vessels for ideas, experience and memory. 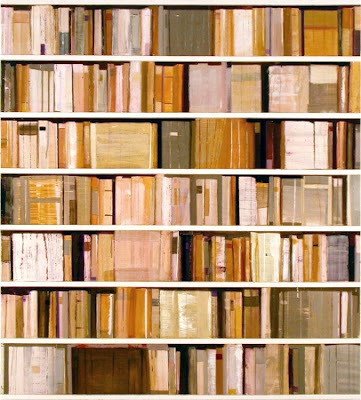 The books we read and the paintings we love and choose to live with, define us. A book requires the reader to assemble images and ideas out of its signs and symbols. 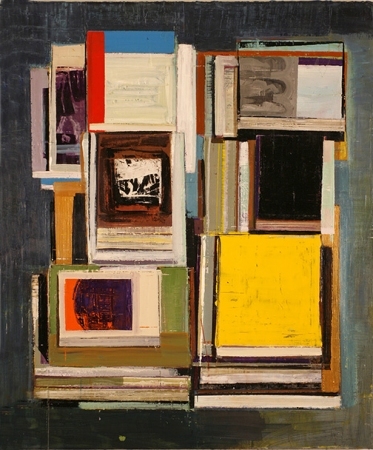 Likewise, a painting asks that you translate its strokes and drips into reason and emotion." 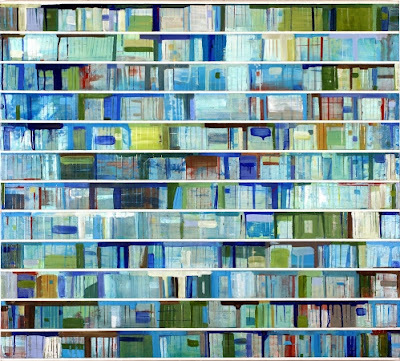 You can browse Stanford's website here to see more lovely pieces, or check out a few paintings in person at the Blank Space gallery in Manhattan - Stanford's exhibition runs through February 4.
wow- Kay's work is beautiful. AND a librarian's dream come true! my fav is Blue True.